Gill teaches piano and singing at her studio in Chalford Hill to pupils of all ages and abilities. At present her youngest pupil is six and the oldest is over sixty. 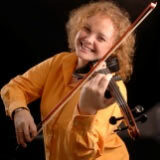 She has had considerable success in coaching young singers and pianists prior to their auditions for music colleges and conservatoires, and some have gone on to become professional musicians. Gill also prepares students for auditions, recitals, amateur musicals and small opera productions, and many pupils have won prizes at important competitions. Gill has a LRAM Singing teaching diploma from the Royal Academy of Music, London and believes that in teaching students to sing opera, pop, jazz or any other form of music, the technique is basically the same. Her own vocal technique stems from the Italian Bel Canto style, which she uses as a basis for all her teaching. But don't worry if you want to sing pop you won't end up sounding like an opera singer. That's because she adapts the technique to suit your own particular voice and style of singing. Gill will work with you to make your voice sweeter and stronger. She will also help you to enhance your musicality through personalised coaching on song repertoire: musical interpretation, characterisation, language, diction, and melody. Gill will aim to do all this in a relaxed and comfortable way. Gill can't turn you into Pavarotti or Celine Dion overnight but she promises you will notice a difference in your voice after just a few lessons. Her fees are £25 an hour for adults and £24 an hour for children. Gill has had an excellent record with a 100% pass rate for pupils taking ASSOCIATED BOARD EXAMS. Lots of clients have sessions on a totally flexible basis to fit in with work and other commitments. Sheila currently charges £25 per hour for all sessions including the taster session or £12 per half hour session.